If you’re looking to build a new home in Canberra, you want a builder with an exceptional reputation for quality, an honest and friendly approach, and a strong track record of delivering beautiful homes that exceed their clients’ expectations. We are Robert and Danny Rosin, brothers who have been building the highest quality homes in Canberra for over 20 years. We are driven by a deep sense of pride in the work we do, and a commitment to knowing that we would be proud to live in the homes we build. We offer complete transparency and clear communication at all stages of the build process – to ensure your building experience is a confident and enjoyable one, and your new home is everything you dreamed it would be. What impressed me the most in dealing with Rosin Bros was their ability to understand what I needed and what I wanted. The flexibility and patience extended to us during the entire process from the very beginning was just fantastic. The after sale service is just great. At Rosin Bros, we specialise in custom new home builds and knock down rebuilds in the Canberra region. Every project is completely customised to meet the needs of our clients, drawing on our extensive building experience to deliver an exceptional outcome. 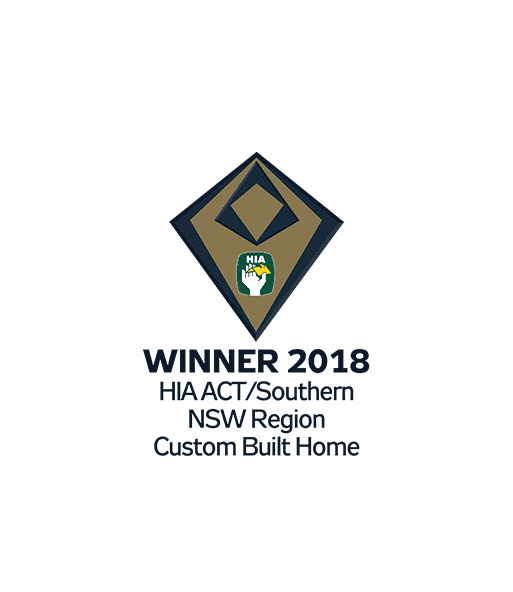 We are known for our modern and classic style, resulting in numerous industry awards as residential home builders in Canberra. Our home building specialists have been building stunning custom build homes throughout the region for over two decades. We don’t make cookie cutter homes. Instead, we tailor each home with carefully planned designs and a remarkable quality build that will meet your needs and expectations. Many of our tradespeople and suppliers have been with us for well over 10 years, which results in the highest quality workmanship and is a testament to the care and pride we take in the work we do. We don’t just build houses, we build homes. With Rosin Bros, your new home is in good hands. With a wealth of industry knowledge and a passion for delivering the best quality homes across Canberra, Rosin Bros are the residential home builders that exceed client expectations time and again. To secure the Canberra home building specialists, get in touch today. Simply fill out our online form, or give us a call on 02 6247 4799.